Have You Heard About The "Big Telecom Event?" Can Apprenticeships Transform Higher Education? 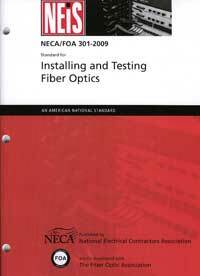 How To Get Trained Or Educated In Fiber Optics* And Where To Find The Technical References You Need. 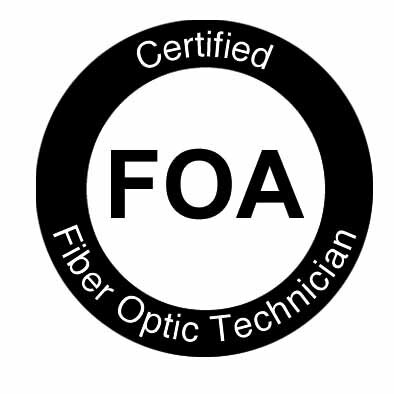 FOA was founded with the charter to "promote fiber optics through education, certification and standards," and that has been our focus for the entire 20 years since our founding. For all that time, we have worked to provide programs for schools to use in training classes for FOA certifications, create reference materials related to all the topics appropriate to our industry and technology and make that material available to the widest possible audience. Of course, the most important aspect of FOA's educational program is our schools. FOA has almost 200 schools all around the world that offer training and FOA certification and we'll look at them in depth next month. FOA also creates and provides materials appropriate to all levels of learners - from novices to experts - in all possible formats, books, ebooks, web pages, videos, online self-study programs and social media and the online material is all free. 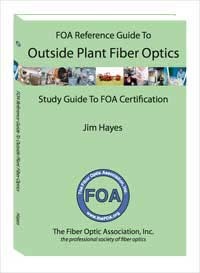 In this FOA newsletter, we will describe some of the ways you can use FOA materials to learn about fiber optics and premises cabling to enhance your current knowledge or gain new knowledge. No matter how familiar you are with the FOA offerings, we bet you'll find some new ones described here. * The normal difference between training and education is the hands-on skills development focus of training while education mainly focuses on knowledge. 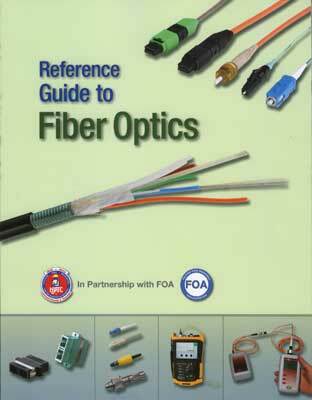 Looking for technical information on fiber optics? The FOA Online Guide probably has the information you need. FOA's online technical information began with our "Tech Topics" which started as soon as the FOA had a website but grew much bigger with the introduction of the Online Guide in 2008. The Guide began as a response to the commercialization of Wikipedia. 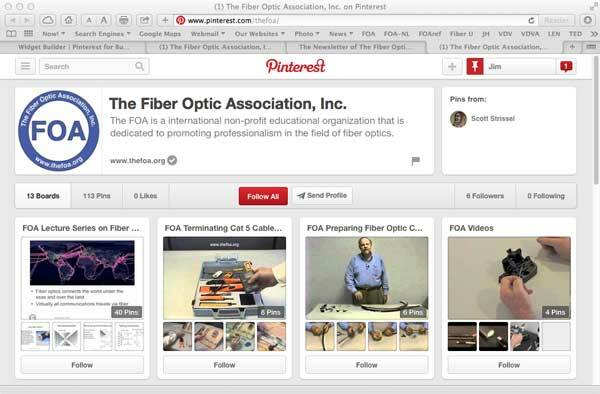 FOA had been a contributor to Wikipedia on topics relating to fiber optics but grew disgusted with the editing of our materials into commercial messages by editors paid by companies to make it an advertisement for their products. 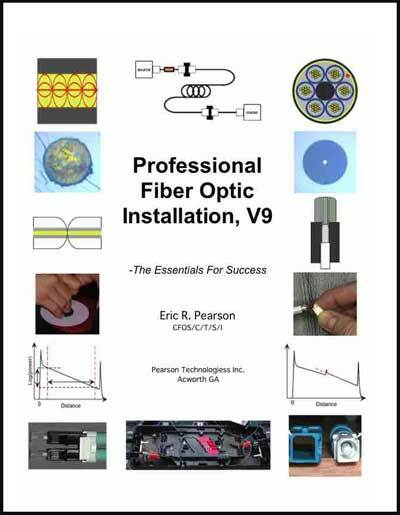 The Guide started with a Basic Fiber Optics section and expanded rapidly (it's now available in English, Spanish and French). The Guide now has almost 1000 pages of technical information. The Table of Contents leads you to the primary sections (Basic Fiber Optics, Premises Cabling and OSP Fiber Optics), sections on Applications, Components, Design, Installation, Testing, etc. 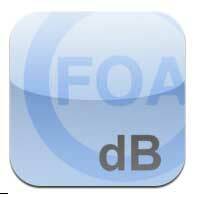 and links to other FOA technical materials and standards. The Guide is really big so we added our own Google Custom Search that can find anything in the Guide or the rest of the FOA website. It even searches the archives of this Newsletter which goes back more than a dozen years. The FOA Guide is always being updated. When you go to the Guide's Table of Contents, look for the graphic. We keep adding and changing pages as we find new topics or information. One of the biggest sources of ideas for new pages is questions from our readers, so keep asking all those questions. Fiber U is the FOA's online training site that offers 12 free online self-study programs from an introduction to fiber optics through comprehensive technical courses on subjects like Fiber Optic Network Design, Testing and OTDRs. Included are 5 applications specific courses (FTTH, OLAN, FTTA, DAS and Data Centers). 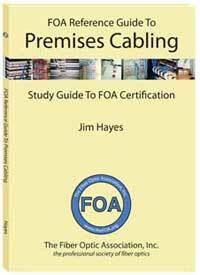 Most of the courses follow FOA certification curriculum. All are intended to educate anyone interested in the subject (e.g. 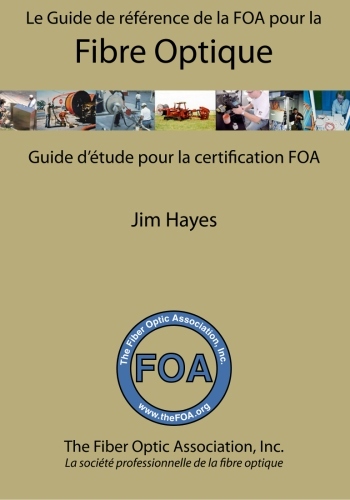 managers, contractors, supervisors, even sales personnel) and may be used as preparation for FOA certification exams for those working toward their FOA credentials. A new Fiber U feature is the option to take an online exam and get a Fiber U Certificate of Completion for the courses. This shows you finished the course and learned the material and is recognized by the FOA as preparation for the appropriate FOA certifications. Prefer printed books to electronic files? FOA provides textbooks both ways. When the commercial publisher for the original FOA textbooks raised the prices to nearly $100, a loud outcry was heard, especially from our schools and their students. We decided it was time to publish our own books and use the new technology of "print on demand" to cut the costs and offer them at a more reasonable price. It was also a good time to write books that took advantage of 15 years more experience in teaching from the books to reorganize the material and update the contents. We now offer 5 printed textbooks, a basic fiber text in English, Spanish and French, a book on premises cabling (which to use means copper, fiber and wireless) and an extensive book on outside plant fiber optics (OSP). All the books are available in printed or ebook formats (Kindle and or iPad) at around $25. 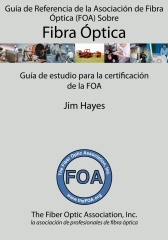 FOA publishes guides and technical information and makes them available online free. Here are some of the most important and popular ones. Standards cover components and systems and how to test them, but rarely get into installation issues. The FOA NECA 301 standard which covers installation of optical fiber systems has been revised for the second time, adding considerable new materials. This standard is derived from FOA educational material put in standards form and approved by ANSI as an American National Standard. It's specifically written to be used in contracts to define "installation in a neat and workmanlike manner." The standard is available from Go here for instructions on how to download your free copy. 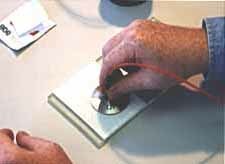 Before you splice, terminate and test fibers, you must install cables. Before you install cables, you must place poles for aerial construction or dig trenches for underground construction. While that may sound simple and easy, it is no such thing! The OSP Fiber Optics Civil Works Guide covers the topics that everyone needs to know - whether you are a network owner/user, contractor, designer, installer (cable layer, splicer, tester, etc.) It covers issues like environmental concerns, safety, easements, and more practical topics like how to dig and back fill trenches. 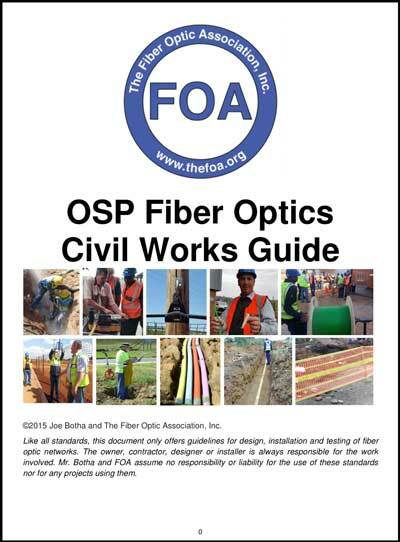 You can download a free copy of the FOA OSP Fiber Optics Civil Works Guide here. 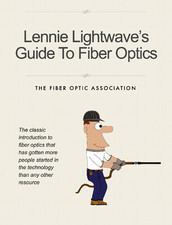 Lennie Lightwave's Guide To Fiber Optics and Uncle Ted's Guide To Premises Cabling were started over 20 years ago during the era of the original Fiber U training conferences. They have always been the most popular way to get started with fiber optics or premises cabling. There are web versions of Lennie and Ted as well as free Lennie and Ted iBooks on iTunes. 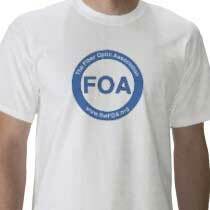 FOA was started in 1995 by a dozen or so trainers from the industry, users and schools. As we approach our 20th anniversary, we'll include some history of the FOA in our newsletter. FOA is a very international organziation. 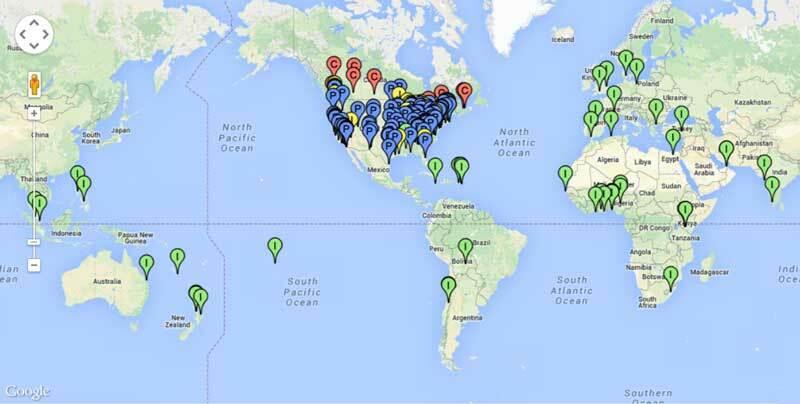 We have FOA-approved schools in about 40 countries worldwide and members everywhere. FOA has visited many of these schools, met with teachers and students and also met with communications ministers, communications companies and entrepreneurs to learn about their needs for training and to share our knowledge. Shown are photos from Malaysia, South Africa, Kenya, Zambia, UAE and Turkey. A new report released by the American Council on Education examines the rebirth of apprenticeship and its renewed relevance within today’s higher education landscape. The paper, titled “Revisiting Apprenticeships,” is the first in a series of eight ACE “Quick Hits,” which are funded by the Lumina Foundation and focused on current and emerging topics in higher education innovation and attainment. Apprenticeships are an ancient concept based on a person learning a trade from a skilled employer while simultaneously helping the employer with their own productivity. Apprenticeship has long been viewed as a way to advance skills sets. Today, this tradition continues as apprenticeship has become a hot topic for both employers and academic institutions. Early in 2015, the Obama Administration announced a $100 million program to support new apprenticeship programs, with particular emphasis on creating opportunities in nontraditional, high-demand occupations. In his budget, President Obama also called for $2 billion over the next 5 years to double the number of apprentices in the United States as part of an increasing focus on “job-driven” training in the administration. From "Can apprenticeships transform higher education?" By Ron Bethke, eCampus News. Read the whole article here. 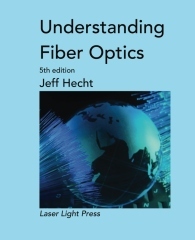 Understanding Fiber Optics, Jeff Hecht's outstanding basic technical fiber optics textbook, has become available at affordable prices. 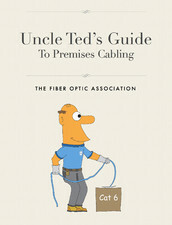 This book is college-level with in-depth theory and the accompanying math, but is the most understandable of all the technical books on fiber that we are familiar with. Like we noted with out technical publisher pricing the book out of the market, the same happened to Jeff's book when the price approached $200! Jeff now has the rights to the book and has created electronic and printed versions that are again affordable - in fact the Createspace edition is cheaper than the first copy we bought over 25 years ago! Understanding Fiber Optics, 5th edition, is available in paperback from Createspace for $39. A PDF edition of the full 800-page book is available for $9.95 from Payhip.com at <https://payhip.com/b/rI5s> . The FCC’s Universal Service Fund allocates $4.5 billion annually through various universal service programs for high-cost areas to support voice- and broadband-capable networks in rural America. Read the FCC announcement here. We know, you've been hearing this for years, fiber saves money. But Verizon proves it. 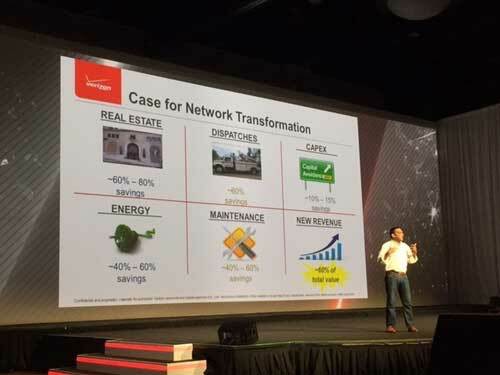 Verizon has transformed only seven of its central offices from copper to fiber, but the benefits realized from the first seven have convinced it to do the same with its remaining 2,000-plus central offices. The carrier was forced to transform one of its largest central offices in New York after Hurricane Sandy destroyed it in 2012. Rather than rebuild the 100-year-old network with copper, it chose to go all fiber. As a result, the carrier created new revenues by enabling it to do fiber-to-the-premises. It has since done this transformation to six other central offices and plans to (eventually) transform the rest as well. Verizon is the only carrier in the world that has made an attempt to upgrade its entire CO footprint from copper to fiber. The economics are interesting. Savings come from the smaller central offices needed for fiber, which cut space needs, allowing it to sell off or lease that space, and lower real estate taxes. Lower maintenance was one of the original incentives for fiber conversion, of course, as was the decline of use of copper landlines and higher demand for broadband. You can read the entire article on Light Reading. 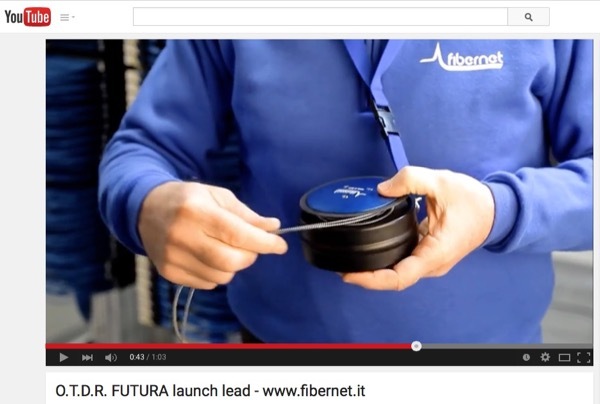 This video shows a new and very convenient looking way to store your launch cables. Watch the video on YouTube. "The fiber allowed us to run long distances with little line loss, maintaining a high quality signal for grading.” Cavanaugh adds. “The fiber cable had four channels, so we could receive picture from camera and simultaneously return a graded image back to camera. We've recently added three more videos - all focused on the MPO array connector - to the FOA YouTube channel. FOA has developed a new training curriculum on DAS that shows how systems are designed and installed. In our training program, we pay particular attention to the overlay of DAS on premises cabling systems as they use similar cabling architectures and components. 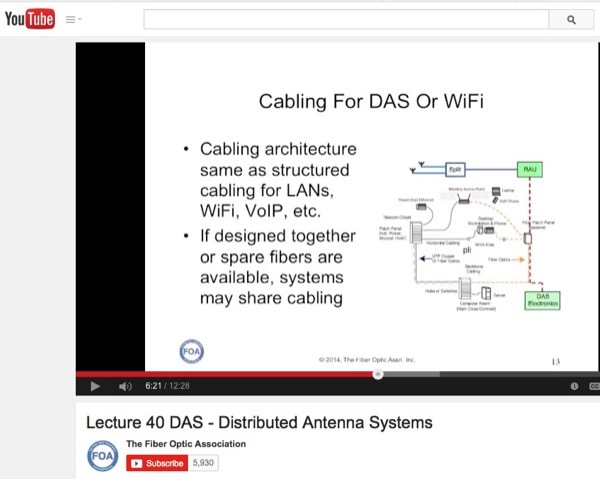 To complement the DAS curriculum, we have added a YouTube video, FOA Lecture 40, DAS - Distributed Antenna Systems. and a page on DAS on the FOA Online Guide. The FOA DAS YouTube video looks at the need for a DAS, how they are designed, focusing on how they fit into the standard premises cabling system. Several standards groups are working on DAS standards, but given their typical speed, one should probably not expect to see standards for 4-5 years and when available will probably be obsolete like the TIA standard for data centers. In the meantime, you can get information and training from the FOA. 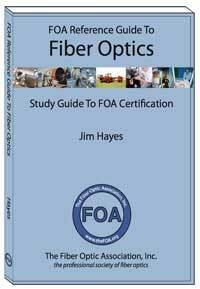 The FOA CFOS/DAS curriculum will be available through FOA approved schools and will become a online self-study course on Fiber U soon. 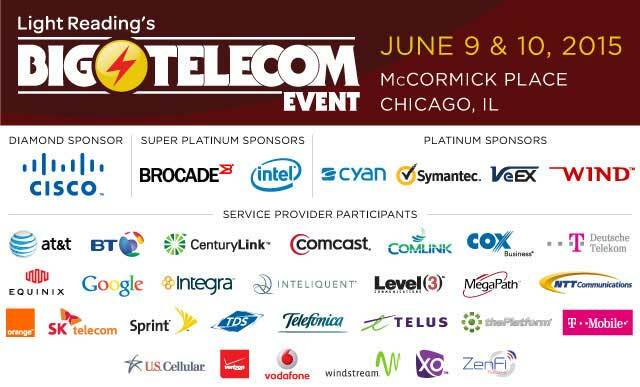 Light Reading's Big Telecom Event (BTE) is the premier North American event in the telecom space featuring more than 80 top-notch service provider speakers from the world's leading telcos. BTE 2015 tackles the big issues facing the telecom industry and how service providers can make money from them. Special offer for Fiber Optic Association members: REGISTER TODAY for complimentary or discounted VIP admission. BTE provides complimentary admission to employees of service providers, operators, financial and educational institutions, utilities and government agencies. All others will receive a 20% discount. Enter promo code FOA20. The Association for Passive Optical LAN invites you to attend a webinar to learn how advancements in optical technologies are helping to evolve the LAN to better support modern IT services and applications of the third millennium. CIOs, IT staff, architects, engineers, and consultants will learn how deploying high performance, fiber‐based, LAN infrastructure can help lower money, energy and space impacts across multiple markets. To date, customers in verticals such as healthcare, government, education, hospitality and enterprise have all enjoyed these benefits.  Engineer in Healthcare market viewpoint – Darren Vican, RCDD, OSP Vice President from RTKL Associates Inc. will speak to the proactive preparation in the design and implementation of a LAN infrastructure that promotes fiber cabling and passive optical network in hospitals.  Integrator in Federal Government market viewpoint – Dustin Bateman, Senior Solutions Architect of VT Group will offer insight in to special considerations given to the installation, integration and commissioning of optical line terminals and optical network terminals within a gigabit passive optical network in both civil and military government facilities.  IT Director in Education market viewpoint – Ron Velez, Director of Management and Information Systems (MIS), White Plains City School District will provide us with lessons- learned from deploying Passive Optical LAN technology within their school district. He will discuss how passive Optical LAN uniquely exceeds the needs for the modern classrooms, teachers and the students.  Lively debate of your questions - APOLAN will moderate an interactive roundtable discussion, based on the live questions fielded from the webinar attendees. This will be your opportunity to ask our Engineer, System Integrator and IT Director questions relative to the subtle nuances of their particular vertical market. The increasing use of fiber-optic cabling systems in networks of all types makes the connecting of fibers to one another a more-important concern, in more networks, than ever before. And while preterminated fiber systems are favorites in some applications, field termination and splicing remain paramount to a vast majority of installations. This webcast seminar, produced by Cabling Installation & Maintenance and delivered by Fiber Optic Association president and founder Jim Hayes, provides in-depth information on both the tools and the practices involved in fiber splicing and termination. 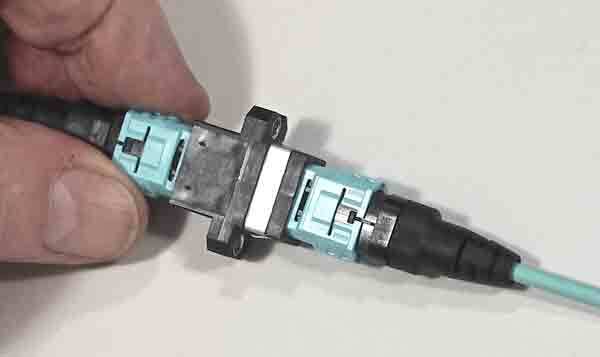 It covers the spectrum of connector-termination styles and techniques, including critical “dos” and “don’ts” for installers in the field. The seminar also details the procedures and equipment used during the fiber splicing process, similarly addressing best practices and those to avoid. 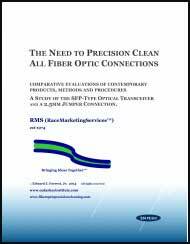 The popularity of preterminated fiber-optic systems continues to rise, as network owners realize the multidimensional benefits of these cablingsystems in several environments. 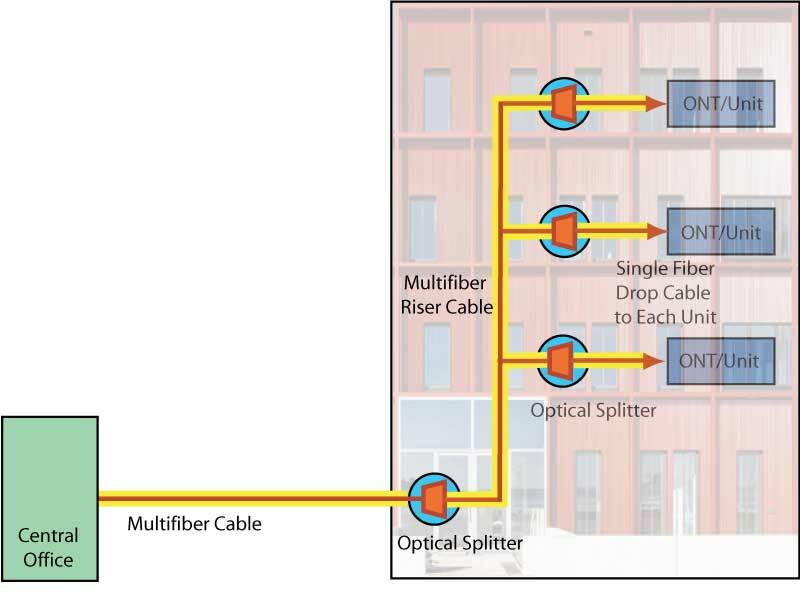 Whether it is between servers inside a data center or between wireless towers outdoors, a preterminated fiber-optic cablingsystem offers efficiency in the fiber-connectivity process. These systems, however, do require careful forethought, planning, acceptance and, yes,installation. This webcast seminar, produced by Cabling Installation & Maintenance and delivered by Fiber Optic Association president Jim Hayes, describes the requirements and best practicesof deploying preterminated or “prefabricated” fiber-optic cabling. It covers the necessities of acceptance inspection, cleaning and testing, as well asproper design and installation techniques. What can you do to prepare your IT environment for the future? What should you do about refreshing your LAN environment – e.g. build new or simply expand your existing network? And perhaps most importantly, what can you do to greatly increase service levels without significant increases to your budget? Join this webcast to hear how the White Plains School District collaborated with IBM to improve their network with Passive Optical Networking (PON). With cost savings of 30-50% less to install and operate, PON offers a great alternative to copper. Find out more about the journey, ask questions, and learn how to make your Higher Ed network faster, less costly, and improve your user experience all at the same time. 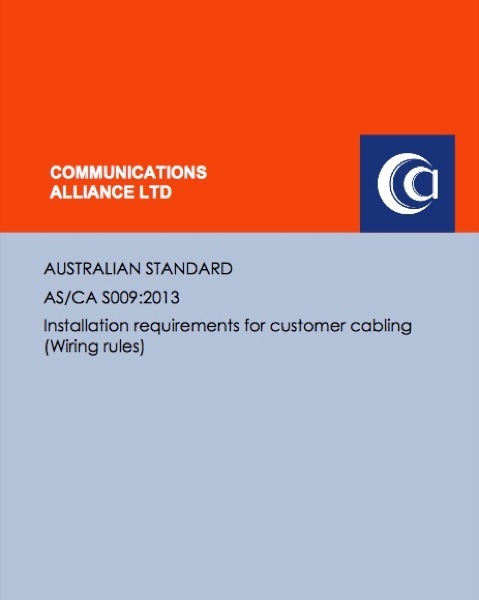 Standards are quite literally the backbone of the structured cabling industry. Understanding how standards have evolved, and how they impact your business, is critical. Here's your chance to stay current with evolving requirements and ask questions that you might have on how to interpret them for your network. This webinar will summarize activities in TR-42 and IEEE task forces. Future of Data Center Cabling (Base 2, 8, 12, and 24 Solutions). Corning offers a library of more than 200 hundred videos that help our customers with everything from product preparation and installation to proper testing procedures. Our free Video Library Tool provides direct links to individual Corning videos, and allows you to filter by topic or area of interest. Register to download the Video Library Tool. 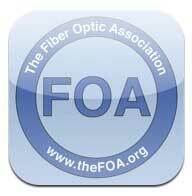 FOA is now offering memberships to companies involved in fiber optics as manufacturers, contractors, installers, etc. and government organizations also. Corporate Membership gives companies discounts on memberships and direct certifications and access to special FOA materials for educating customers and employees. Read more. 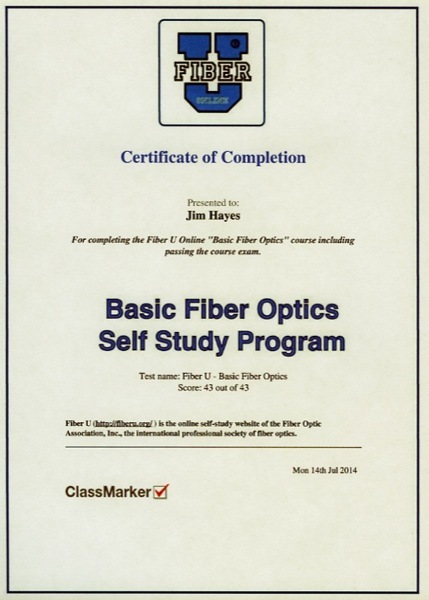 FOA has been offering quite a few free online self-study programs on Fiber U, our online learning site. We are always getting questions about getting a certificate for completing the course online, so we have setup an option to take a test online and get a certificate of completion for these two online courses. FOA welcomes two new training organizations this month. Both Tim Yount and Steve Wolszczak are highly experienced in the fiber optic field with years of experience in the test equipment business. Both are experts in fiber characterization and can provide high level training in this area as well as the other FOA certification courses. Most inqiries we get regarding finding a FOA-Approved training organization want to know two things: what school is closest to me or what school offers the certifications I need. The FOA has about 200 training organizations we have approved worldwide so finding the right one can be difficult! We've been looking at ways to make it easier, and we think we've got a good solution. In fact we have two solutions. 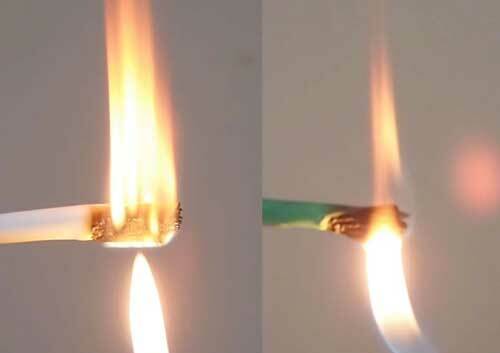 Q: Should one worry about using matched fiber types when testing cables? E.g. 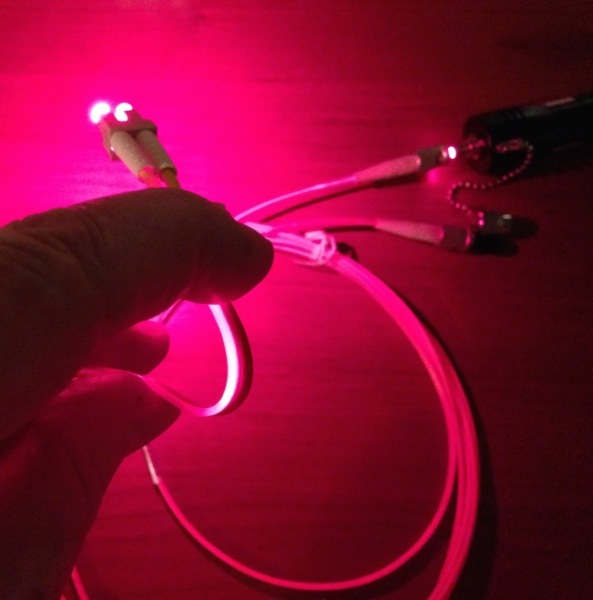 don't test OM3 fiber with OM4 reference cables or vice versa, or mizing OS1 and OS2 singlemode. A: We’ve never tried to do controlled tests of OM3 v. OM4 or OS1 v. OS2. It would be very difficult to get the measurement uncertainty down to where the differences could be seen, I suspect. 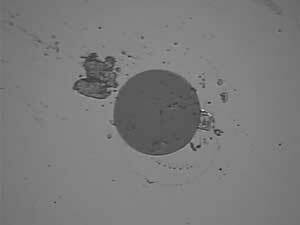 Just think about finding two fibers, one OM3 and one OM4 with exactly the same core diameter. One can certainly see differences between using good or bad cables for reference launch/receive cables, but isolating each variable is difficult. We did tons of tests on some of these issues, like modal control in MM fiber or source wavelength back 20-35 years ago, as part of the early development of standards at EIA (before TIA). What many users fail to understand is that you have a lot of variables in fiber optic testing and controlling one is not going to be the “silver bullet” to make it perfect. That’s why FOA did the metrology page - trying to explain that the issues are many and often uncontrollable or unknowable! Q: Can you use an indoor/outdoor tight buffered fiber cable in an in-ground conduit application? The fiber is not gel-filled. A: Indoor/outdoor cable will generally have a dry water-blocking tape or powder - not gel on tight buffer fiber - and is OK for underground conduit. But always check with the manufacturer when in doubt. 1. What is the maximum length of a single run of FO cable that can be produced, transported, handled & installed, considering any practical constraints of production/transportation/ handling/ installation? 2. What are the methods by which the long-haul FO cables (kilometres long) are usually i) transported (series of cable drums on pallets? ), ii) handled & iii) installed (onshore as well as offshore)? 3. Any other precautions/ word of advice in the above case? A: Most manufacturers have available lengths of “regular” cable up to about 12km, but it depends on the cable type - the weight and bulk is the problem. Submarine cables are built on board ships and have lengths of thousands of km, but they are a very special case. Once you have an idea of how many fibers you need and the cable type, you can talk to manufacturers to get a more precise answer. Transportation is by cables on reels transported on special trucks that have spindles to pay out the cable or cables on spools transported with the cable spools upright, sitting on the edges, not the sides, so they can be easily rolled around or put on a spindle to pay out for installation. Upright spools can also be picked up by forklifts without damaging the cables. I would assume that if you are building a pipeline, you have good roads alongside it so weight is not a problem and bigger spools can be accommodated. Q: I'm looking for some resources that will help me figure out the operating costs of a rural fiber network. I would appreciate it if you could point me in the right direction. Repairs are the biggest expense for the cable plant - if you have aerial cable, it can be damaged by vehicles hitting poles or - at least out West, but unlikely in MA, target practice - underground cables can be flooded and frozen in the North or dug up by contractors who never heard of "Call Before You Dig." Overall network OPEX is the usual provisioning, adding subscribers, upgrading equipment, etc. - nothing to do with the fiber network beyond construction to add subscribers but simply running a system. That all ties into what kind of system(s) you are running. Planning for the environment, future expansion and adding subscribers is important to keep costs low. We're working with a rural system - an electrical utility in this case - in the CA mountains on a broadband/smart grid project that's probably similar to you. (We know your region, we lived in Boston for 30 years before moving to CA in 2003, had a son go to Hampshire and my family was from the area starting 330 years ago). For your area, the important issues are preparing for the weather and ensuring the contractors are used to designing/installing the cable plant that must withstand freezing cold to blistering hot weather! Q: I watched the OTDR presentation and would like to clarify some conditions of the standard OTDR test. I am sure that single mode fibers are testable by OTDR. 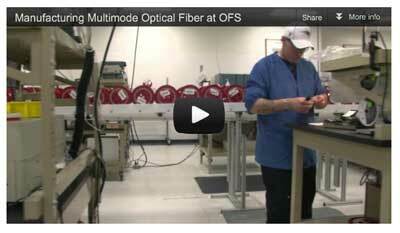 Does the test apply to multimode fibers? A: Yes OTDRs are used for multimode fiber, but because many MM links are short and OTDR distance resolution is often not very good, the usefulness of such measurements may be limited. 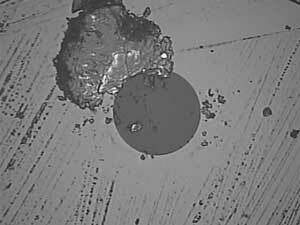 Many of the technical questions we get here at FOA relate to OTDR testing and often resolution is an issue. If you want to use an OTDR to test short MM links, you need a very high resolution OTDR. Testing is always better at 850nm because the trace has more amplitude and can use less amplification for better resolution. 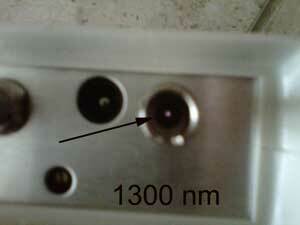 Besides there is little use of MM at 1300nm anymore. 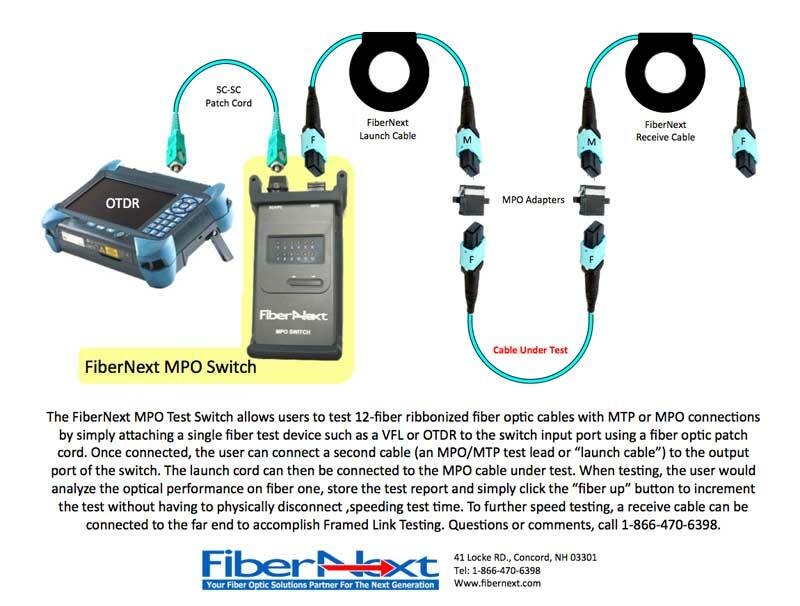 The second issue is mode power distribution - see http://www.thefoa.org/tech/ref/testing/test/MPD.html The laser source of the OTDR launches mainly into the center of the fiber so any loss at a connector is minimized. That affects reflectance measurements too but I’ve never seen it analyzed. Q: I would like to know that the procedure for long time storage and preservation of fiber optic cables. A: The preferred guidelines are fairly simple - store the cable on the reel in a indoor dry location where the temperature is moderate - say 10-40deg C- and humidity is also moderate. Have the spools sitting on the edges or on a spindle (see Nexans guidelines here). Q: We are looking at running a OTDR test across a pair of fibre’s but instead of running a OTDR test from A-B and then B-A, we are looping the fibres at exchange B and doing the OTDR test at on F1 &2 at Site A. We have launch cords and trail leads on Fibres one and two but I’m wondering what length of fibre should the loop be, would 50m be acceptable. Typically the sites are 10-20km apart. A: Loopback tests are a good way to simplify OTDR testing. On a 10-20km run, the loopback needs to be long enough to allow both connections on the far end to be seen, so it depends on the pulse width of the OTDR. I suspect 50m is too short - I’d say use 500-1000m to ensure all the data is valid. Deviser Instruments brings an extensive portfolio of innovative, high-quality, value-packed test and measurement solutions to communications service providers and equipment manufacturers worldwide. For more than 25 years, communications service providers have relied upon Deviser’s products to deliver reliable, high-performance cable, satellite, wireless, fiber optic and telecommunications services to their customers. 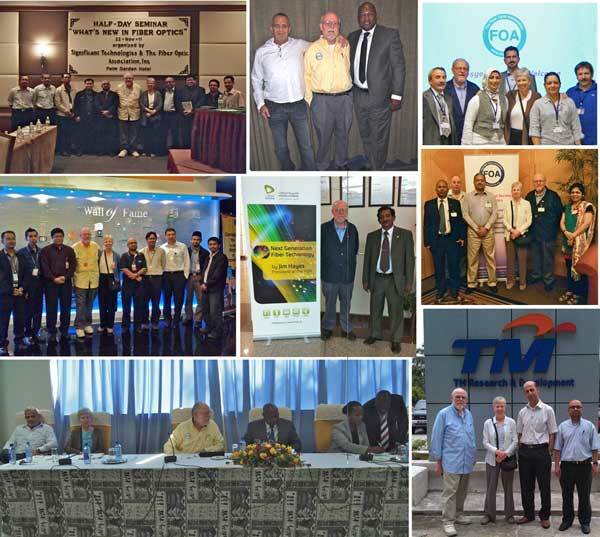 Over the last 12 years, Deviser has been an OEM supplier of test equipment to tier 1 communications service providers in North and South America. 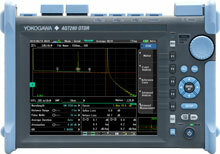 Products include a high res OTDR and CWDM testers. Need A Fiber Optic Cable That's Waterproof And Floats? 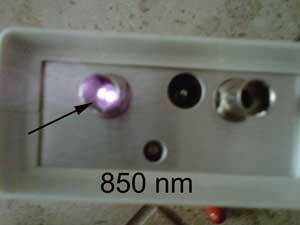 Linden Photonics can help you. The specialize in special underwater cables for towed vehicles or ROVs. Read more. 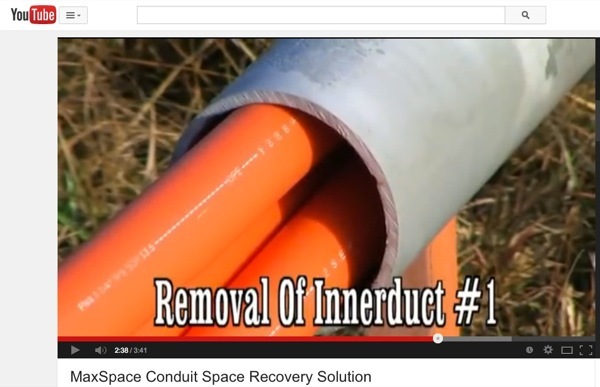 Traditionally, underground fiber has been placed in plastic innerducts in conduit. About a decade ago, MaxCell "fabric" innerducts were introduced. They provided the protection needed during installation and greatly increased the availabe space in conduit. 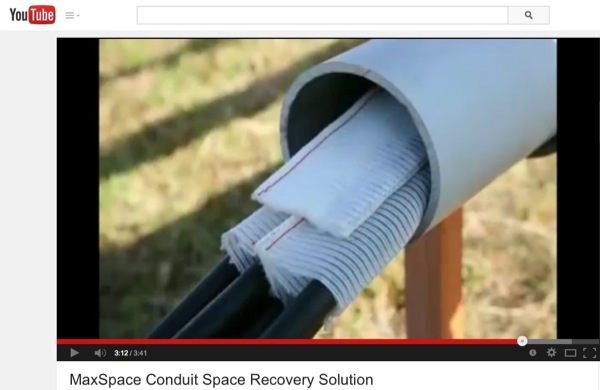 Recently, the company has introduced an interesting technique to remove plastic innerduct in place to make more space for cables in current ducts. Here are photos from a MaxCell YouTube video showing what we are describing. SKY Technologies recently sent us a VFL to evaluate. With a VFL, you need quite a bit of power to see splices and through some cable jackets, even MM orange (the cable in the photo) but especially other colors, so high power is an advantage. This VFL is the brightest we have seen - bright enough that you want to ensure it's aimed away from your eyes when you turn it on! It has CE and RoHS approval. Model FT650H-50B. Contact SKY for more information. Now accepting resumes for an in-house Fiber Optic Technician. Work in OSP, ISP, and Cloud environments. Simple Tech Solutions LLC is seeking an experienced Fiber Optics Installer/Splicer for potential Bid by March 17th. Incumbent must have at least 5 years of experience installing and splicing Fiber optic cables. Position may require some travel throughout the greater Bay Area, CA. I will provide details to qualified candidates. Please send Resume to simpletechsolutions@simtechsol.com for consideration and include Fiber-Optics Installer within the subject line. We are requesting that labor or professional agencies not apply. Thank you in advance. These Technicians will be working on of of the largest National Broadband Rollout project in the Kingdom. A Fiber Splicer is responsible for splicing, terminating and testing aerial and underground fiber optic systems, updating and maintaining project tracking information such as production sheets, red-line as-built and customer required paperwork. Additional responsibilities include performing all aspects of the assigned project in accordance with the clients’ standards and guidelines in the required timeframe. · Ensuring timely completion of projects as assigned. · Performing other related activities as assigned including, but not limited to, telecom equipment installation, indoor and outdoor cable installation, etc. 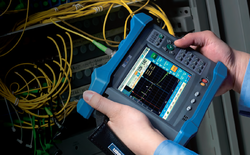 · Proficient in use of all fibre optic test equipment including OTDR, Power Meter, live fibre tester, etc. Technicians needed, Western Canada (BC /AB). This is primarily FTTH however any and all experience is welcome. Rate of pay is 30-35/hr on rotational shifts which means 2 weeks on 1 week off. We travel throughout Alberta and British Columbia so accommodations, and per diem are paid. Please contact the contractor directly at the email listed - not FOA!